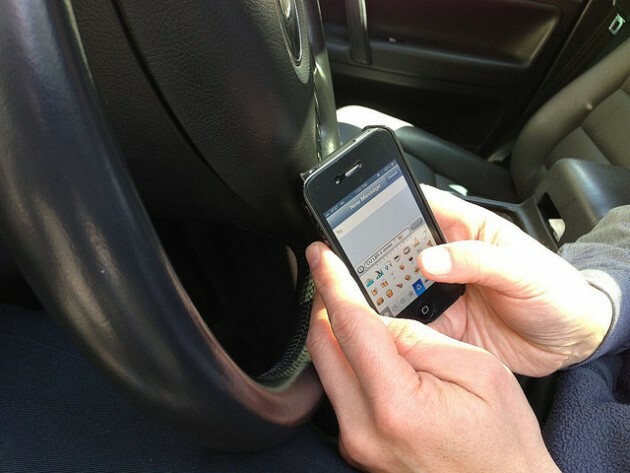 There is no doubt that cellphone use while driving is a very, very bad idea indeed. Statistics like the fact that 3,154 people were killed in collisions involving distracted drivers in 2013, and around 424,000 people were injured, have spurred drivers to ask for tougher laws on distracted driving. The only problem? The drivers who want tougher laws are the ones who admit to texting behind the wheel. A recent study by State Farm called the Distracted Driving Survey asked drivers about their attitudes and behavior regarding distracted driving. The study found a sharp increase in the number of drivers who talk, text, and access the internet while behind the wheel. Talking on a hand-held cellphone while driving has actually decreased from 65% in 2009 to 51% in 2015 (likely because of the widespread use of Bluetooth technology in vehicles). But other numbers rose dramatically. The scariest statistic is the percentage of Americans who access the internet while driving—up from 13% in 2009 to 29% in 2015. That means that almost one third of drivers on the road could be sending emails or checking social media at any given time, endangering their own lives as well as yours. The study also found a sharp increase in the number of drivers—particularly those aged 40 – 49—who own smartphones. In 2011, just 47% of these drivers owned smartphones, while in 2015 that number skyrocketed to 92%. Smartphone ownership increased across the board, explaining the phenomenon on people accessing the internet while driving. In case you need some more scary stats to help break your texting/talking/Facebooking and driving habits, check out our infographic.